Nothing remarkable about this, you might think, except that it mirrors almost exactly what Ricardo Piglia writes about the structure of the short story: that the outer, surface narrative, always contains and conceals a parallel interior story. This is interesting because it poses the extraordinary thesis that a human life is always about (at least) two narratives, the overt and visible, and the covert or hidden. In the case of the addict, the duality of these narratives is especially extreme, because the parallel interior or subterranean story – even if initially concealed or invisible – eventually breaks out into awful visibility, affecting all those in the immediate vicinity. 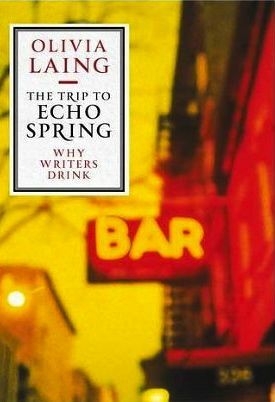 The Trip to Echo Spring: Why Writers Drink is an excellently researched book on a difficult topic. It is filled with fascinating digressions and integrates the author’s findings with a journey she herself undertakes across the United States in pursuit of her subjects’ homes and histories.